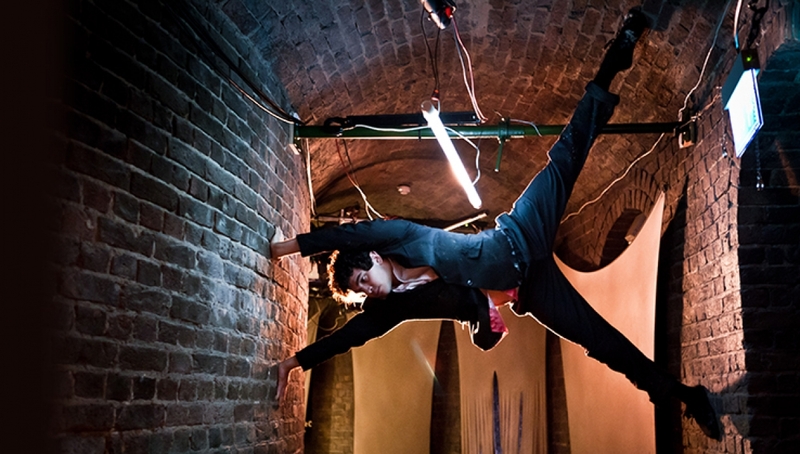 Experience a new show from the Roundhouse Street Circus Collective, harnessing the frenetic energy of the city and taking audiences along for a thrilling ride. In the city, life is fast paced. We’re constantly pulled in different directions, constantly confronted with an overwhelming number of choices. Orbital is a brand new promenade performance directed by Sarah Fielding (Invisible Circus) using circus, theatre, and spoken word to explore how to hold on to our humanity in the face of relentless consumerism. Stories are woven into an orbital journey through the depths of the Roundhouse, a disorientating subterranean space filled with bikes, wheels and hoops, all going nowhere fast. The Roundhouse Street Circus Collective is a group of 11-25 year old acrobats and street dancers from across London who have been taking part in the Roundhouse Street Circus Collective programme. *Fees are £1.95 per transaction. Please note: This is a standing performance, and you will be guided around various spaces. It may be dark in places. Please speak to a Duty Manager on arrival for assistance.